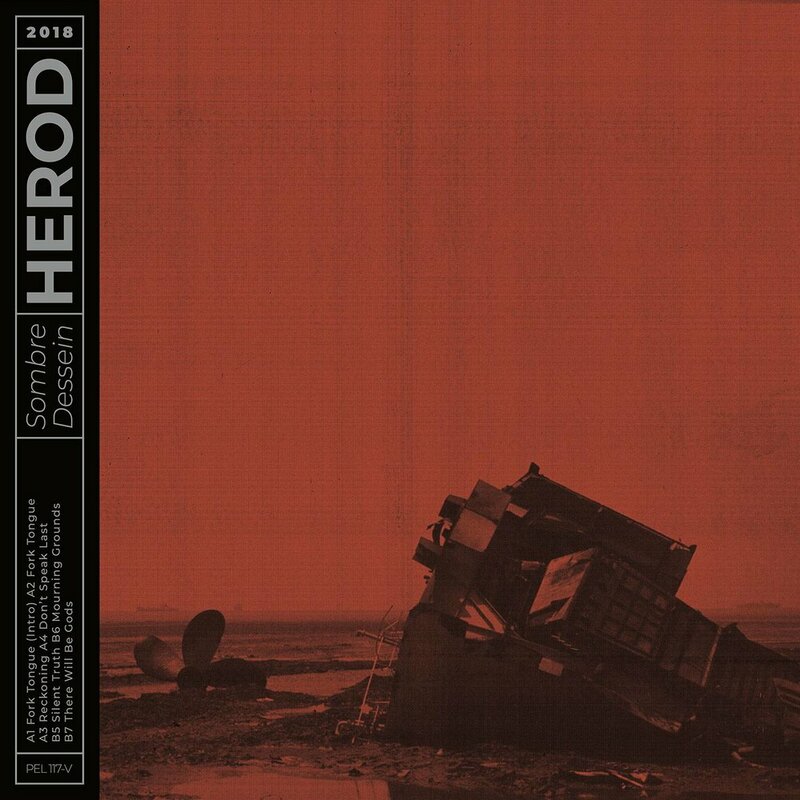 HEROD are a 4 piece progressive sludge band from Switzerland, they’re signed to Pelagic Records and are due to release their new album SOMBRE DESSEIN on February 15th. We were sent a promo copy of the album to listen to, Marisa Dymond did just that, read on to see what she thought. ﻿The concept behind “Sombre Dessein” is “the rise and fall of dictatorship & benevolent dictatorship” – This and the modern human condition/the disease of consumerism." As the intro leads into "Fork Tongue", the concept for the album becomes even more evident with the singer, Mike Pilat, stating, "....we're so derailed....", Over the polyharmonic guitar riffs, deep and heavy. This tune also features Bill Steer from Carcass, whom adds his own melodic heavy groove to the song; giving it a definite stand out track on the album. In this song, we not only hear the guttural screams from Pilat, we also hear his clean vocals, over the distortion of the gruelling guitars; which gives the song a unique dynamic that is hard to pull your ear away from. The longest song on the album, "Don’t speak Last", comes in at a magnitude of just over 10 minutes, starting with distorted noise and heavy rhythmic drumming, until the guitars slowly make their way into the song with distortion and chords as heavy as the drumming. It's an exceptional display of blast beats and tempo change; in this song, the Fabian Vodoz is on full display and does not disappoint. All the elements of the deathcore/progressive sludge sound are present in this song, yet Herod does it in a way that makes the sound exclusive only to them; with minor throbbing chords and echo on guitars and the lyrics, bouncing between the screams and the clean vocals and the incredibly smooth tempo changes- all working together as a well-oiled machine. "Silent Truth" is up next and gives you no time to take a breath as you jump right into the incumbent sounds of this riff-heavy track. You can faintly hear Pilat whispering , "....the beginning of the end...." and again we are snatched back and forth between clean vocals and the resounding screams of Pilat. "Mourning Grounds" is the penultimate track on Sombre Dessein; grooving with a slow but steady rhythm on drums, while the guitars make their way slowly but surely into this frenetic but somehow steady song. At the 2 minute mark, Vodoz stands out with a firm and sturdy groove that I can only describe as something that I LOVE about metal- HARD and FAST. The song becomes even a bit more frenzied yet somehow, like Herod can do, is still controlled. Imagine running toward the edge of a massive cliff only to stop and the very edge; that is "Mourning Grounds". The final song is personally one of my favourites; with a running time of 9 mins and 43 seconds. Vodoz begins the song with an almost ancient tribal sounding rhythm, as if we are going backwards in time, hence the title- "There will be Gods". It is reminiscent of an ancient Scandinavian battle song, with the haunting chants and primitive beats that resound within your ears. I found myself getting lost in the steady rhythms and simplistic yet harmonic guitar riffs, nodding my head to the unwavering beat. The ending of the song seemed to fit just perfectly; a tapering of the music into white noise and static.... Symbolic of what we are, as a society, to become?? According to Herod, if we aren't careful, the complete destruction of society might lead us to meet these gods; a bit sooner than we might think. * "Sombre Dessein” is released on 15th February via Pelagic Records.